January 23, 2014 in "2014", "Year in Colour Club"
The 2014 Year in Colour Club is off and running! The January Club shipments have all been mailed and today I sent out the Club pattern and set up the "Patterns Only" buying option. This option is a great alternative for those who want all the fun, excitement and exclusivity of a Club at much less of an expense. 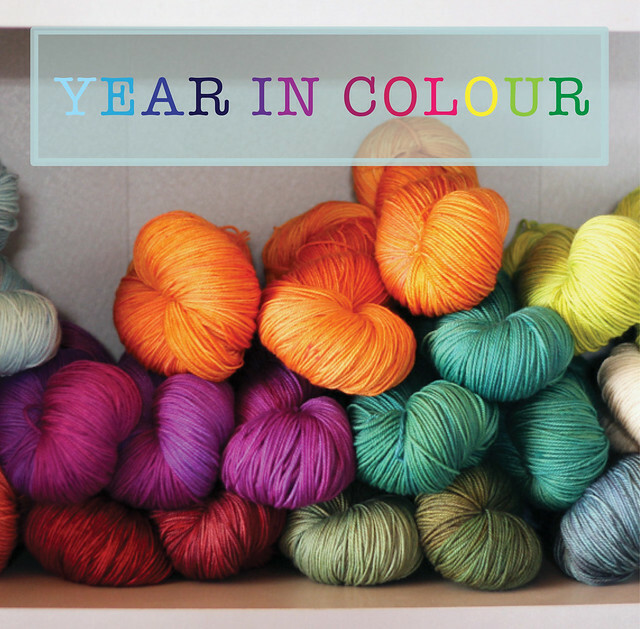 It's also a great option for those of us who have lots of special single skeins stashed away and need single skein projects in various weights delivered to our inbox 6 times a year! What a great way to knit your way through your stash.